Empire Rubber & Supply Co’s heavy duty black rubber belt inventory for the aggregate & mining industry. Empire Rubber & Supply Co. is renowned in the Aggregate, Food Processing, and Wood & Paper products industries for their Mobile installation & vulcanization crews, service oriented technical sales team, Uniweld cleat process, expansive conveyor belt and Precision Pulley & Idler inventories. 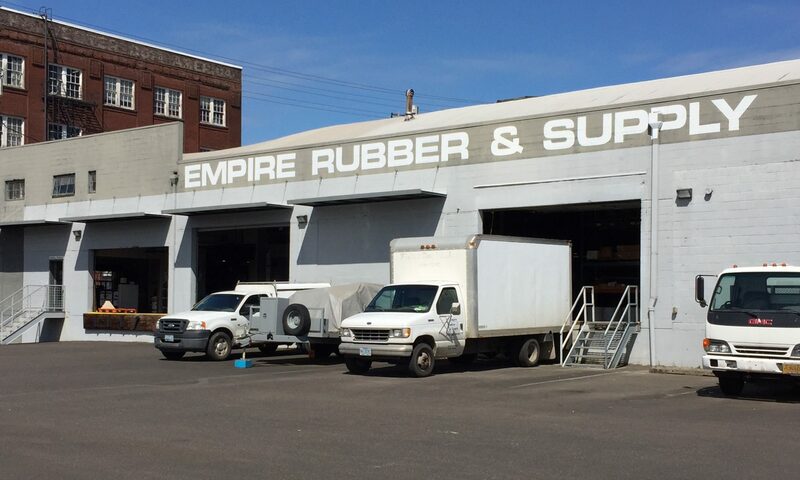 Empire Rubber & Supply Co.’s Mobile installation & vulcanization crews are unsurpassed! 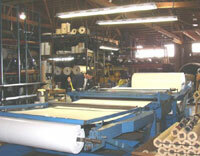 Well equipped (30+ presses) and highly trained (Fenner certified), our crews maximize Up-time by minimizing down-time. Empire Rubber & Supply Co. can easily slit conveyor belt and other materials up to 72″ wide x 1200’+ long using one of our BeltMaster slitting machines. Our technical field sales and friendly customer service teams are always available to tackle even your toughest conveying challenges. Empire Rubber & Supply Co.’s patented UNIWELD cleating process vulcanizes PVC cleats and V-guides to the top and bottom surfaces of conveyor belts. Our Uniweld process offers many configurations to fit your conveying needs: T cleats, I cleats, scoop cleats, from 1/2″ to 3″ tall, in chevron, herringbone, or curved patterns. Drilled & siped vanner edges are also available. CEMA B Idler Isle. 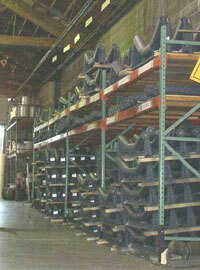 Expansive Precision Pulley & Idler inventory.